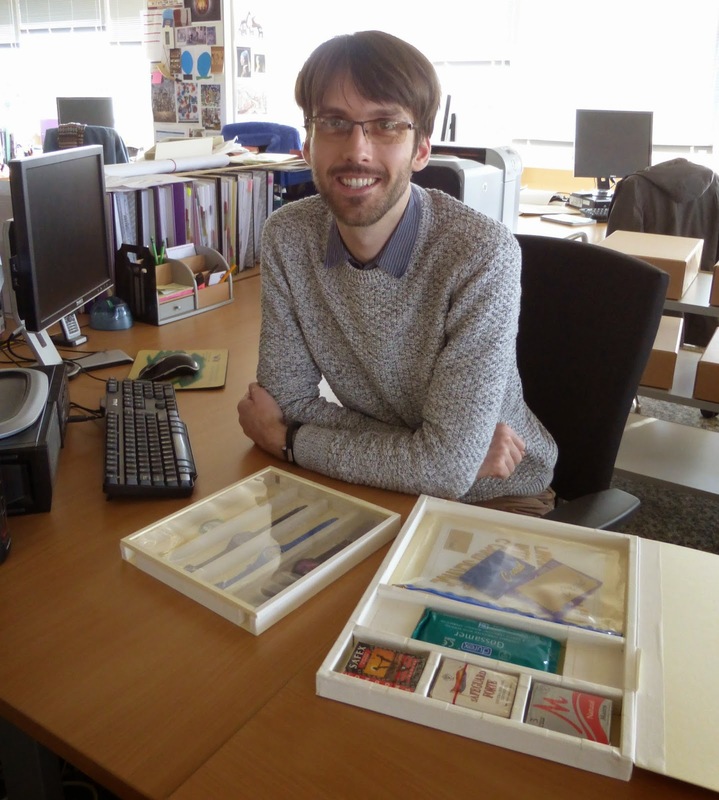 As I am coming to the end of the Wellcome Trust funded project to catalogue LHSA’s UNESCO recognised HIV/AIDS collections, I thought I would provide a peek at one of our latest HIV/AIDS accession. In the last few days of the project, I have been pulling everything together and managed to spend some time on the Waverley Care accession (Acc14/028). This collection was donated to LHSA last year after connections were made between the charity, my predecessor Karyn and Project Conservator Emily. It’s great when working connections can be established between archives and potential donors because we can provide help and advice, with what materials are suitable for long-term preservation, storage and access, whilst enriching our own collections and research resources. 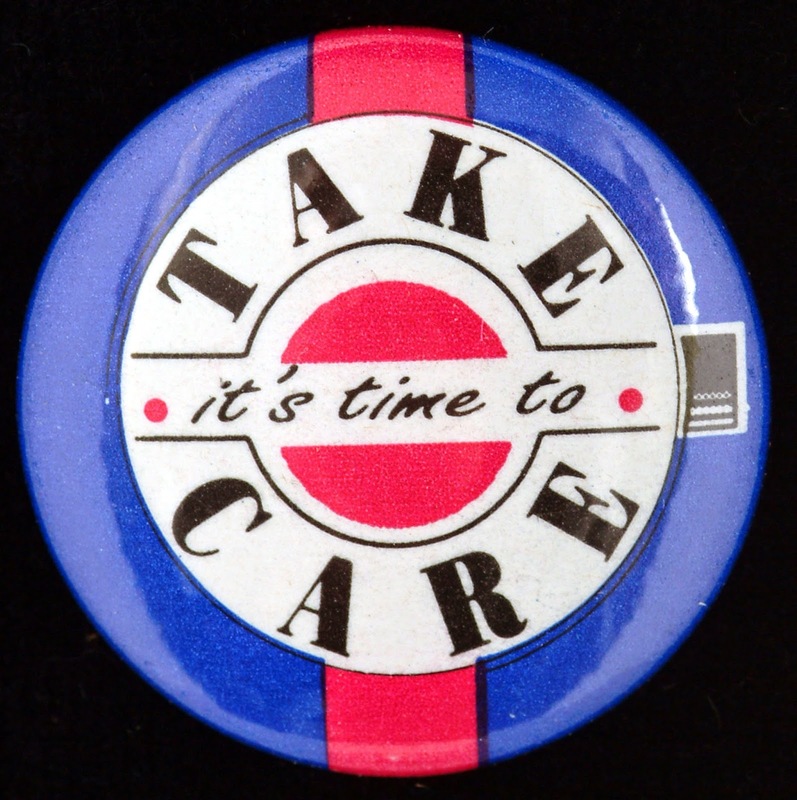 We have already been able to share with you some of the unique and important items from our HIV/AIDS collections, particularly from the vibrant Take Care Campaign. 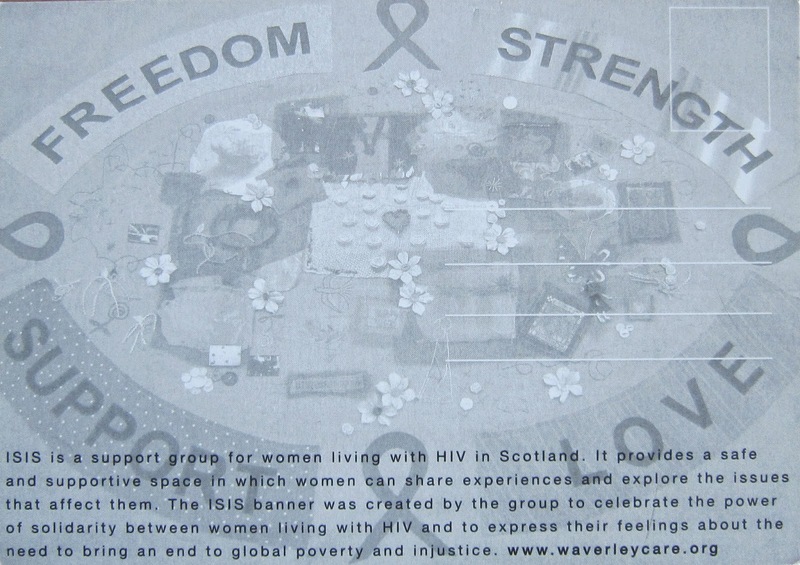 But through sharing some of the items from our other HIV/AIDS collections, we can reflect on the work of many charities, support networks and campaigns that were set up in Edinburgh (and beyond), during the outbreak. They would often work together to take on the epidemic and provided education and support for sufferers, as well as the wider general public. 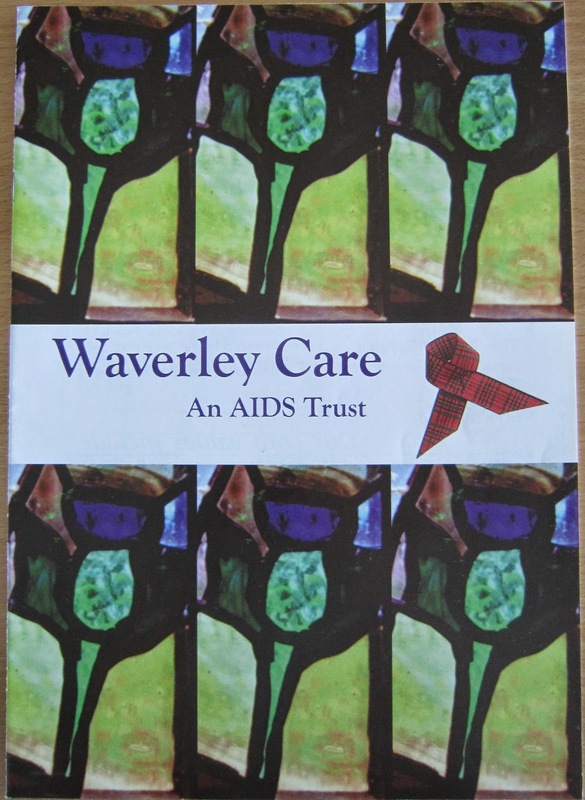 Services provided by charities, such as Waverley Care, provided (and are still providing) excellent support to people living with HIV and Hepatitis C and also work hard to raise awareness, in order to try and prevent new infections. 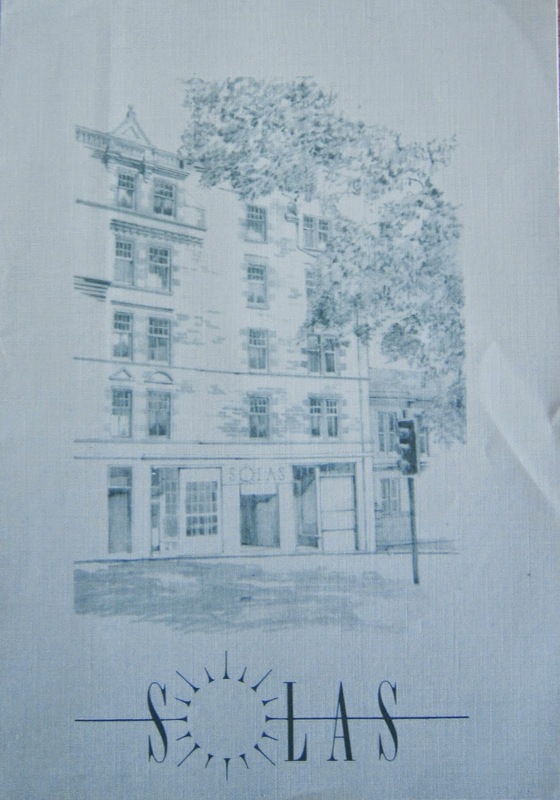 From the collection we can gain an insight into the foundations of Waverley Care, established in 1989. It was during this period that Edinburgh was labelled the ‘AIDS capital of Europe’, with the highest infection rate throughout the whole of the UK. The region was at the forefront of the battle against the spread of the virus so services like Waverley Care were set up in response. The charity went on to develop the UK’s first purpose build hospice for people living with HIV, Milestone House. This transformed into an intensive residential support unit and a community support service for people living with HIV or Hepatitis C.
The collection also has papers relating to another one of its earlier projects, Solas. This was a community-based support and information centre that like many other Edinburgh based campaigns, aimed to reduce public fears about HIV/AIDS. Instead of prevailing an atmosphere of doom and gloom, Solas wanted to be seen as a source of positivity, to help inspire and strengthen a support and education network. 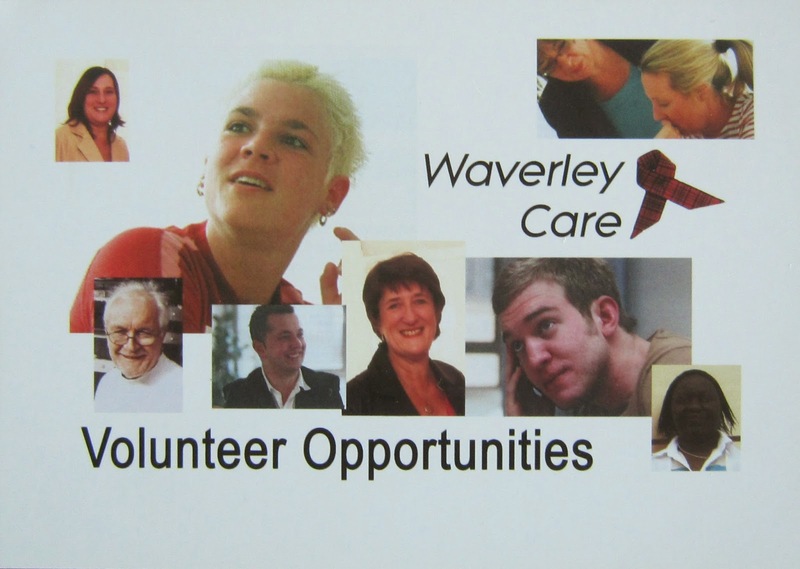 This positive approach can also be seen in the promotional activity of Waverley Care. 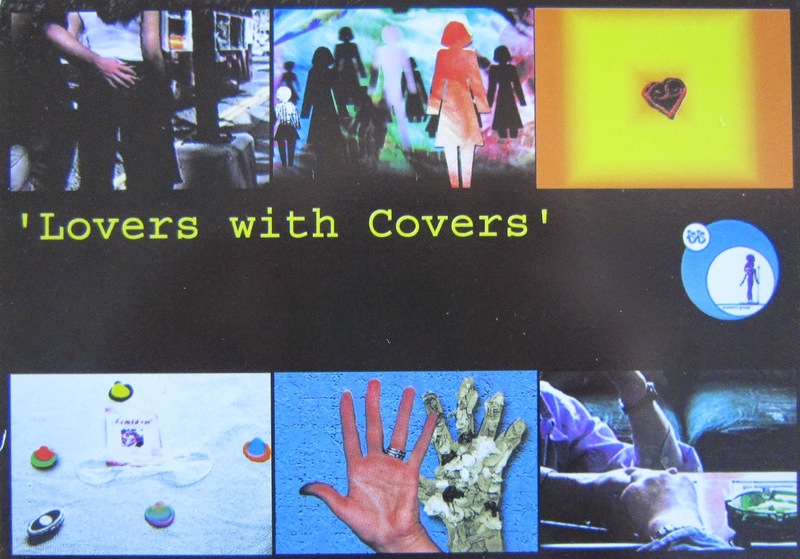 Here are a selection of their postcards that were produced to promote their messages of strength, support, education and understanding. Finally, the charity also takes part in World AIDS Day which still provides an opportunity for the world to unite in the fight against HIV, and commemorate those who have died from the disease. 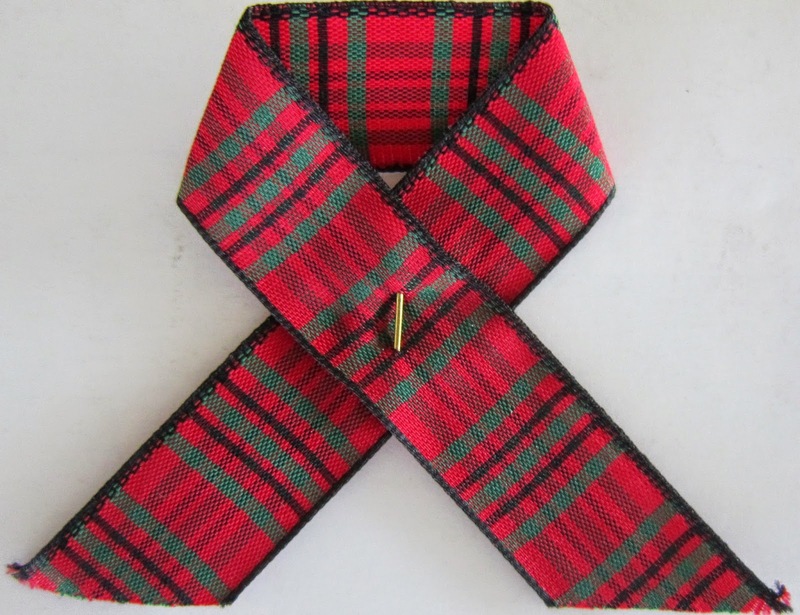 Below is a tartan ‘Red Ribbon’ which became Waverley Care’s symbolic image and highlights the unified stance against HIV/AIDS. I started on Tuesday 3rd March 2015 with a brief introduction and then was set straight to work! My supervisor, Louise, made sure I received my induction to the Centre for Research Collections (CRC). She then introduced me to Emily Hick, who has spent her time working both with LHSA (on HIV/AIDS collections) and CRC as a conservator. I was helping Emily on a Wellcome Trust Provision for Public Engagement Project to create educational resources for teachers based on LHSA's HIV/AIDS collections, on which she'd recently finished conservation work (http://bit.ly/1JJQiHM). I was asked to help create four resources out of the 15 which will showcase the material available in LHSA's HIV/AIDS collections and suggest exercises based around the Curriculum for Excellence. Considering I had only seen what was in the collections by looking at the LHSA website (http://bit.ly/1H6DETc) I was excited to find out more about what we had to help me create these resources. I’ve rushed ahead and not introduced myself yet. I’ll tell you how I got to be here every Tuesday and Wednesday. I first started working with LHSA over a year ago, volunteering on my days off work cataloguing the case notes of Professor Norman Dott. His pioneering leadership in the field of neurosurgery makes these notes an important record of the changes in diagnosis and treatment of neurological disorders. 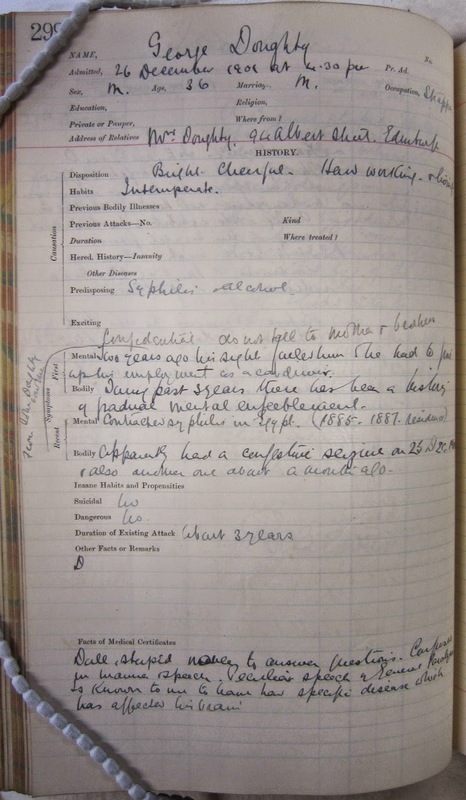 Whilst at the archive, I noticed the HIV/AIDS collections through the work Karyn Williamson was doing to catalogue some of the remaining collections and Emily’s blog on the work she did to conserve atypical materials for an archive (http://bit.ly/1x0ibUI). This inspired me to find out more. I have been a John Lewis Partner (our name for employee) for 10 years. I started there whilst studying biological sciences at Edinburgh University. I have worked in different departments in the store and now currently work in the Gift List department. Each day is different. Alongside Gift List customers we also gift wrap items purchased in store, process price match queries and many other roles that would take too long to list here. However, I was looking to do something slightly different with some of my time and considered the GJT. The John Lewis Golden Jubilee Trust funds placements for Partners for a volunteering secondment with a UK registered charity for up to six months. After sending an application to the GJT Board for consideration I was one of the lucky 27 Partners to get a secondment (http://bit.ly/1FSVd7Q). Karyn originally came up with the idea for these resources when she was cataloguing four of the HIV/AIDS collections. So after a meeting with her and Emily I was primed to dig deeper in the resources, based on items from the Take Care campaign such as the board game ‘Choices’ and pin badges. I also was able to adapt a public engagement activity Louise had previously done with primary school children to provide a resource for teachers to discuss what archiving is and get their pupils to be archivists in a short activity. All 15 resources will be loaded onto the website which will launch in May. 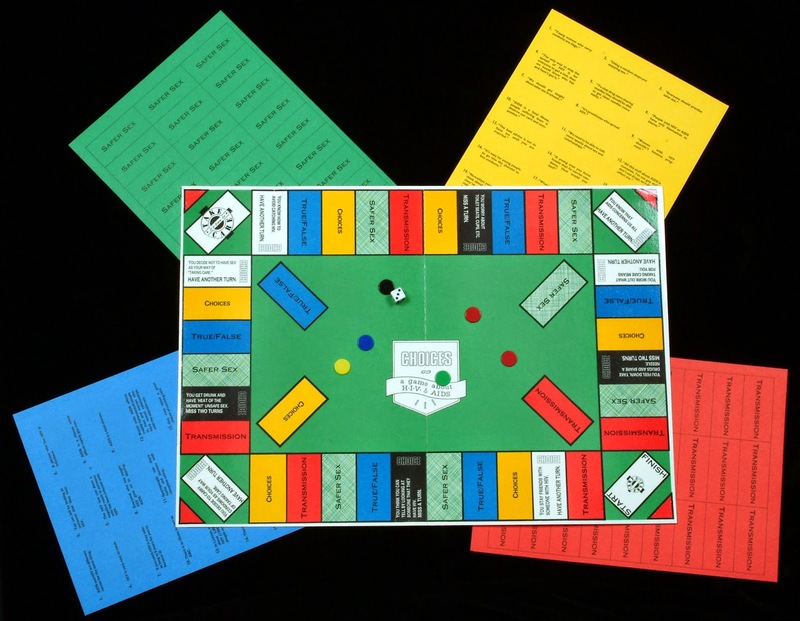 200 copies of the ‘Choices’ board game were distributed to schools, youth clubs, community education centres and residential settings for young people (GD22). I also have been learning new skills. I transcribed some radio advertisements used during the Take Care and Forth Action campaigns. These were short, humorous, clips encouraging the use of condoms and dissuading the sharing of needles. At some times it was hard not to break out into laugher in the office, and disrupt the normally quiet space! These will also be loaded onto the website so you’ll be able to listen to them. I challenge you to get through all of them without a hint of a chuckle. I have been warmly welcomed into the team and I have already been able to achieve a lot in the short time I have been here. I look forward to the next few weeks where I’ll be continuing on the start I’ve already made on taking oral histories for the HIV/AIDS collections. This week’s blog focusses on the slightly unusual practice of patients doing work in hospital premises, sometimes to help with the running or funding of the establishment. In the majority of cases these were patients who had either mental illness or chronic physical illness, but still who had a good enough measure of health and strength to do work with adequate support and rest. To prevent the spread of tuberculosis in Edinburgh and allow for the treatment and rehabilitation of sufferers, the ‘Edinburgh Scheme’ was put into action during the early 20th century. 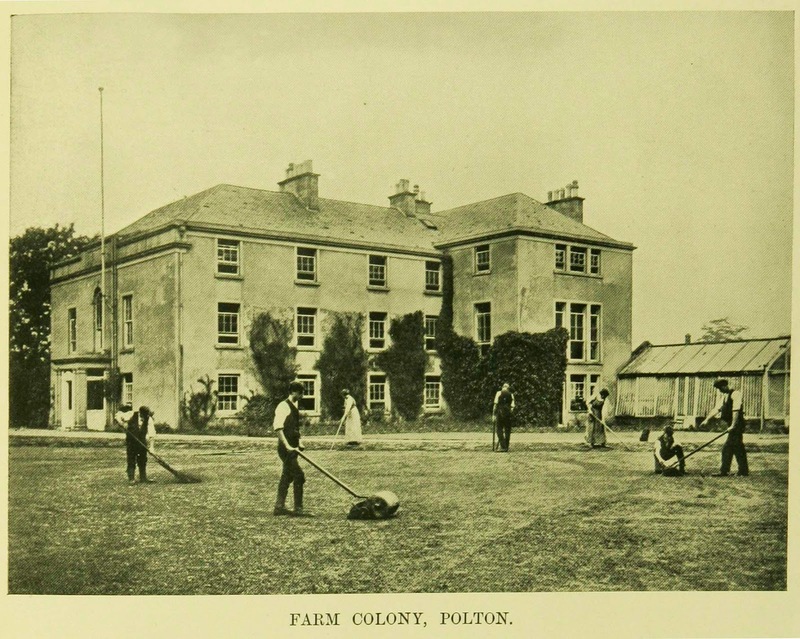 For the Scheme the majority of patients were treated in the Royal Victoria Hospital (RVH), the most serious cases were sent to the City Hospital in Colinton Mains and patients who were recovering were sent to Polton Farm Colony which was linked with the RVH in 1910. As the patients’ condition improved they became able to do limited amounts of exercise, although they remained infectious, and as part of their rehabilitation were put to work at a variety of tasks on and around the Colony grounds. Photographic evidence shows that the patients were involved in such activities as growing seed potatoes and flowers, tending to pigs, woodcutting, gardening and road building. The image shows patients at work around the main building and was published in the Report on the Evolution and Development of Public Health Administration in the City of Edinburgh 1865-1919 (LHB16/2/1). Another establishment where patients were regularly encouraged to do gainful employment was the Royal Edinburgh Hospital. Being directed to do practical tasks has often been used as 'occupational therapy', even though the term may not have been used in earlier eras. 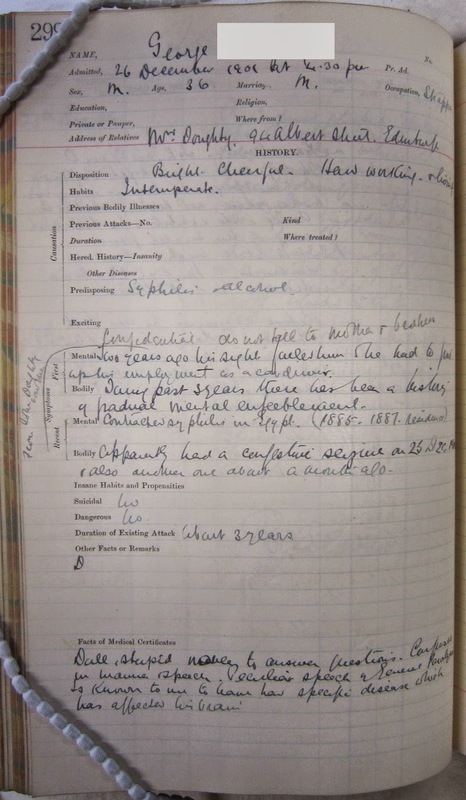 There are examples of patients mentioned in the casebooks in the 19th century who were formerly tailors by trade and continued to make clothing during their stay in hospital. LHSA also holds a number of photographs from the 1960s and 1970s showing patients at work. Types of duties recorded include poultry farming, woodwork, pottery making and production line work on children’s toys. It is not always clear, however which tasks were used to earn income and which were purely therapeutic. The image shows a patient adding finishing touches to a wooden rocking horse during the 1960s. 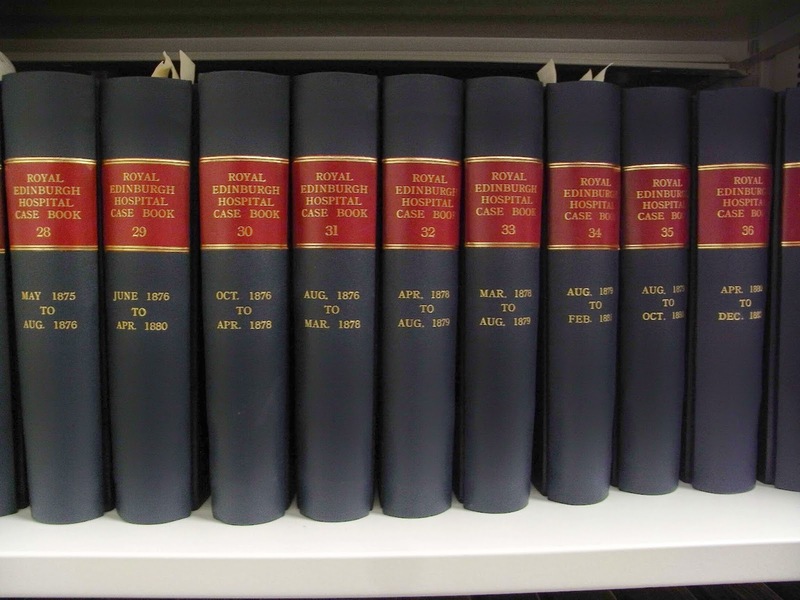 Laura, our previous Archivist, had the bright idea to start a project for volunteers to index the casebooks in an access database, recording key details such as the name of each patient, length of treatment, diagnosis and biographical details like occupation and age. Not only has the database provided a key finding aid for individuals in genealogical searches, but it also collates fascinating statistical data across the thousands of patients whose details have been recorded so far (at the end of this week, we’re approaching 10, 800 entries). At the moment, we have four volunteers working on indexing the cases – Fiona Mossman, Aidan Hurst, Arianna Shorey and Catriona Colquhoun – and I’ve asked them to tell me a little more about their impressions of the casebooks and volunteering with us. Because Catriona only started her indexing this week, I didn’t think it was fair to ask her to give her impressions after day one! In fact, we learnt today that Aidan has been successful in obtaining a conditional place on the MSc in Information Management and Preservation at the University of Glasgow this Autumn to take his experience in archives to the next level. Congratulations, Aidan! 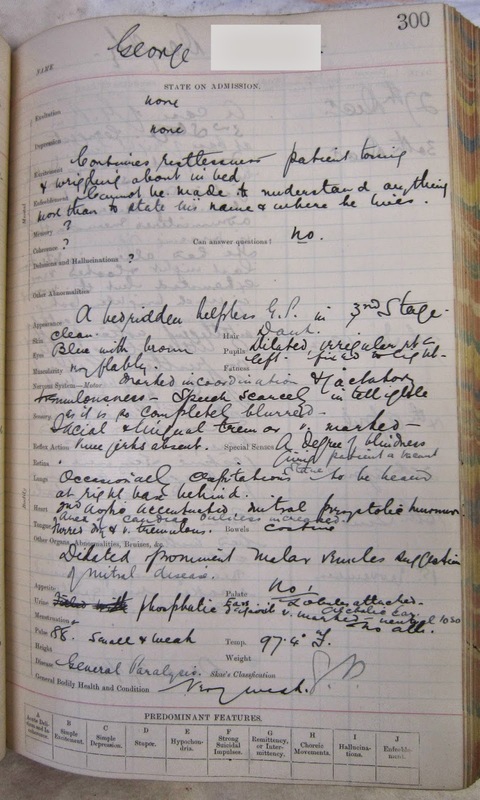 Arianna has been brave enough to tackle a more challenging aspect of the indexing as well – looking through earlier volumes that are not structured by a form, but with key data hidden inside paragraphs of physicians’ often idiosyncratic handwriting. It’ll soon be Fiona’s last week with us, and she has shown great dedication to the project, having presented to us as part of her Edinburgh Award and even creating a guide to help future volunteers to get over the initial hurdles of indexing, such as deciphering names, handwriting and contractions of words, as well as translating the contemporary conventions of the casebooks like now unfamiliar occupations and psychiatric diagnoses. Examples of some challenging handwriting and contractions used in the casebooks. You can learn more about volunteering with LHSA here.